Welcome to our help page. Click on a question below to be taken to its answer. When you're done reading the answer, click "Back to Top" to return to the list of questions here. If you have a question that isn't answered on this page, please email hon@hon.org. 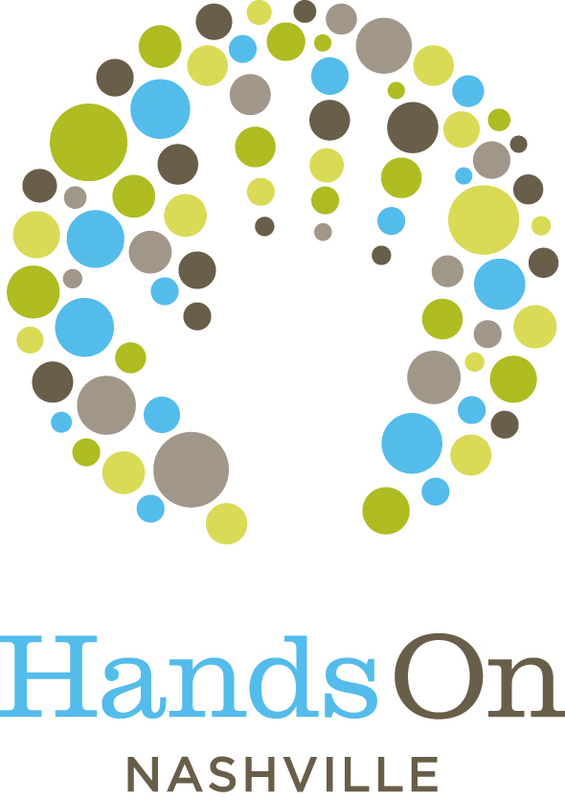 Please note: Our website is powered by HandsOn Connect, an innovative volunteer management system created by HandsOn Network, (the system is being used by volunteer resource centers throughout the country!). Thank you for your feedback as we work to make volunteering as accessible as possible to all Middle Tennesseans via HON.org. How do I become a Hands On Nashville volunteer? I do not have a HON.org account. How do I create one? I thought I already had a HON.org account, but am unable to login to the system. Now what? I tried to create an account, but the system says my email address is already in use. What should I do? I forgot my username. How do I retrieve that information? I forgot my password. How do I retrieve that information? Do I need to have an email address to volunteer with HON? What's up with the Skills Profile in the My Account section? What is it used for? I am a youth volunteer. How do I get started? How old do I have to be to register on this site? How do I search and sign up for volunteer opportunities? What if I have questions about a volunteer opportunity and want them answered before I sign up? I'd like to volunteer with a group of friends/family/co-workers. How do I create and manage a volunteer team? I have been waitlisted for a project. Now what? How do I remove myself from a project so that others can take my place? I am a court-ordered volunteer. How do I get started? Can I keep track of my volunteer service through Hands On Nashville? My hours are not accurate. Why aren’t my hours showing up? I have a question that is not answered on this page. Becoming a Hands On Nashville volunteer is easy! Simply register yourself by creating a HON.org account. It does not cost anything and your information will be kept private and secure. Click here to read more about becoming a HON volunteer. Click here to create a volunteer account. - When creating your password, it must be at least 8 characters. - The email address you enter will be your username to login in the future. Every account needs a unique email address. - If during registration you receive a message that your email address is already in use, then click on the LOGIN button at the top right of the page, and enter your email address. If you do not know the password for your account, then click "Forgot Password" and password reset instructions will be emailed to you. If the temporary password instructions you recieve do not work, please email hon@hon.org. Once you click “submit” you will be automatically logged into your account. You can use the "My Account" tab to manage your personal information, view and manage the volunteer opportunities you’ve signed up for, create and manage volunteer teams, and more. The video below offers a step-by-step guide showing how to create and manage a volunteer account. If you input your username (email address) and click "Forgot Password" and nothing happens, please email hon@hon.org. We will be happy to help you regain access to your account! If during registration you receive a message that your email address is already in use, then click on the LOGIN link at the top right of the page, and enter your email address. If you do not know the password for your account, then click "Forgot Password" and password reset instructions will be emailed to you. If the temporary password instructions you receive do not work, please email hon@hon.org. Your username is the email address you used when you created your account. If your email address does not work at login, please contact hon@hon.org. A HON representative should be in contact with you within two to three business days. Please provide us with your name, email address, and your preferred phone number. Click the green "LOGIN" button on the top right of the website. Enter your username and click "Forgot password?" An email with a temporary password will be sent to you. Return to our website, click the green “LOGIN” button, and enter your username and your temporary password. The system will prompt you to change your password. PLEASE NOTE: Passwords must be at least eight characters. If the temporary password instructions you receive do not work, please email hon@hon.org. Yes. Our website uses your email address to identify you and send you important information about any volunteer opportunities you sign up for. Free Internet access is available from most public libraries. The skills feature is still in development. If you are interested in using specific professional or trade skills in your volunteer work, please browse opportunities for skilled and long-term volunteers. Please visit our Youth & Teens page for information about volunteer opportunities for youth-friendly projects. You must be 13 years old to register as a volunteer on our website. Although children 12 or younger cannot create an account on this site, several of HON's volunteer opportunities are open to youth in this age group. For more information about family-friendly opportunities, please visit our Families page. Click on "Find a Volunteer Project" - located under the "Volunteers" tab above - to search for opportunities or browse our Opportunity Calendar. Once you find a project that you would like to participate in, click on "Sign Up" or "Express Interest" located at the bottom of the opportunity description. If it is a Sign Up opportunity, then you can sign up directly for that opportunity and will receive a confirmation email containing all the information you will need to participate, including directions. If you have questions about the project, you can send an email to the opportunity leader listed at the bottom of the project description. If it is an Express Interest opportunity, then our nonprofit partner will contact you directly with further information about the volunteer opportunity and tell you how to sign up. An automated email will also be sent to you with contact information for the organization so that you can follow up with them if you do not get a response. The video below offers a more in-depth look at using the search and signup functions. At the bottom of every volunteer opportunity page, there is a link to email the opportunity leader. If you do not hear back within two to three days, please email hon@hon.org. I would like to volunteer with a group of friends/family/co-workers. How do I create and manage a volunteer team? Please visit our Group Volunteering page for information about how to create and manage a team. When (and if) a space opens up, you will be notified via email. Open spaces will be filled on a first-come, first-served basis, so if you are still available and interested for the volunteer opportunity, make sure you login, return to the sign-in page and claim one of the open spaces. PLEASE DO NOT JUST SHOW UP FOR THE PROJECT. If you need to remove yourself from a project, please log in, go to the "My Account" tab, find the project under the "Upcoming Opportunities" section, and click "Remove Me." Please visit our Court-ordered Service page. Most nonprofits verify attendance using their own systems. To eliminate duplication of efforts, Hands On Nashville does not require nonprofits to verify attendance through the Hands On Nashville system. If you would like to keep track of your volunteers hours, you may do so using our self-reporting feature. Log in to your volunteer account. Click on My Account. On the left-hand side of the page, click on the link that says, "Self Report Your Volunteer Hours." Select the organization you served with. Don't see it in the list? Use the "click here" link to type in the organization name. List the opportunity name, date of service, start and end times, and impact area. In order for your hours to be accurate, either the nonprofit must verify attendance using the Hands On Nashville system (which they are not required to do), or you must self-report your hours using our self-reporting feature. If you have questions about your hours, please contact hon@hon.org. Please email us at hon@hon.org.